Attracting 1.5 million visitors a year, Joshua Tree National Park is the 12th most visited of the 59 US designated national parks. The 800,000 acres of extreme geology offer a year-round paradise for hikers, climbers, nature lovers, and photographers. Beyond the stark scenery, Joshua Tree has also long been a haven for artists and spiritual types. James Dean, Jim Morrison, Keith Richards, Gram Parsons and John Lennon were among the many early celebrity fans. Only a 2 hour drive from Los Angeles or San Diego, the rustic charm of Joshua Tree offers a rejuvenating escape from the conventional. With a burgeoning art scene, memorable off-beat attractions, and expanding list of heavily attended festivals, the popularity of Joshua Tree continues to grow. Highly recommended for first-time visitors. 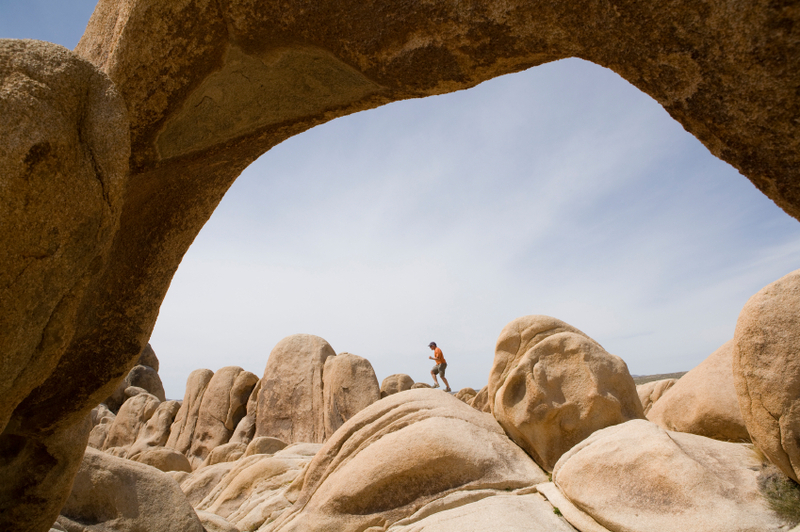 We're a fan of this emerging Joshua Tree Gateway town just 8 miles west of Joshua Tree. Old Town Yucca Valley offers a collection of trendy shops including dining, coffee, art, antiques, fashion boutiques, and furnishings. The first Saturday of each month, the shops stay up late at night and there is a lively atmosphere with snacks and music. A 1940s Old-West motion picture set, that is now a real-life town. Be sure to combine your Pioneertown visit with a visit to the legendary Pappy and Harriet's for great food and music. According to legend, builder George Van Tassel build this domed structure using telepathic directives from extraterrestrials. You can now visit the Integratron and experience their soothing sound baths. Highly recommended outdoor sculpture museum. A truly unique experience. Oasis is a great place to shop for Souvenirs and gifts as they feature arts and crafts from several dozen local Joshua Tree artists and photographers.